Our Firm | The Law Offices of Daniel J. Harris, P.C. The Law Offices of Daniel J. Harris P.C. have been operating with immense success across all of Michigan for nearly two decades. Winning millions for our clients, our meticulous attorneys have spent years crafting impenetrable plaintiff and defense strategies that have helped us carry our clients to victory. Our mutual integrity, years of varied experience, and unique sense of justice have defined us in our business. Our sustainable success has only spurred our motivation to continue striving for even better opportunities to enhance our surrounding community and to further improve the lives of each resident. Serving our clients has been a particular passion for each member of our team. By utilizing that passion with each other’s extensive capabilities, we have united to form a fierce collective whose sole purpose is to win for you. We have spent decades honing and perfecting our skills so that we can impact our society for the better. The dedication we have to our integrity has allowed us to grow and succeed to where we are now, and we’re just getting started. By combining our teams strengths and insights, we have been able to continue learning and growing into the formidable force we have become. The last two decades have offered a plethora of variety in cases that have helped shape our abilities, not to mention win millions for our clients. We remain the unparalleled choice for representation because we have the most diverse and highest level of experience in helping our clients through difficult times. Our pride in our reputation has lifted us up to become a stable pillar for the state of Michigan to lean on in time of need. Let our work speak for itself. We have decades of experience, we’ve won millions for our clients, and our local offices are filled with sincere and helpful staff eager and waiting to assist you. If you or someone you know has suffered and is looking for retribution, has been accused of a crime, facing family law issues, planning your estate for the future, or engaging in general civil litigation, we encourage you to call or visit one of our local offices to see exactly how our services can benefit you. Reach out and explore your options with one of our friendly staff. You are not alone. The Law Offices of Daniel J. Harris, P.C. are ready to dive in and fight for you! Choose Integrity. Choose Experience. Choose Justice. 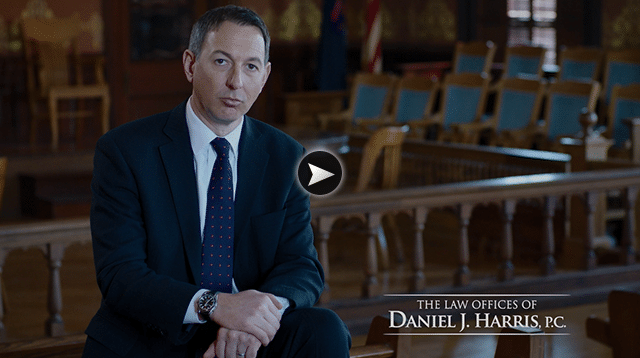 Choose The Law Offices of Daniel J. Harris, P.C.